5 Genius Tips & Tricks For Renting A Car - Family Go Time!Family Go Time! Renting a car can be intimidating. There are so many different companies, it can get expensive, and it’s hard to know what’s a good deal. At the same time, car rentals can be extremely convenient for you as you travel. And they don’t have to break your budget! 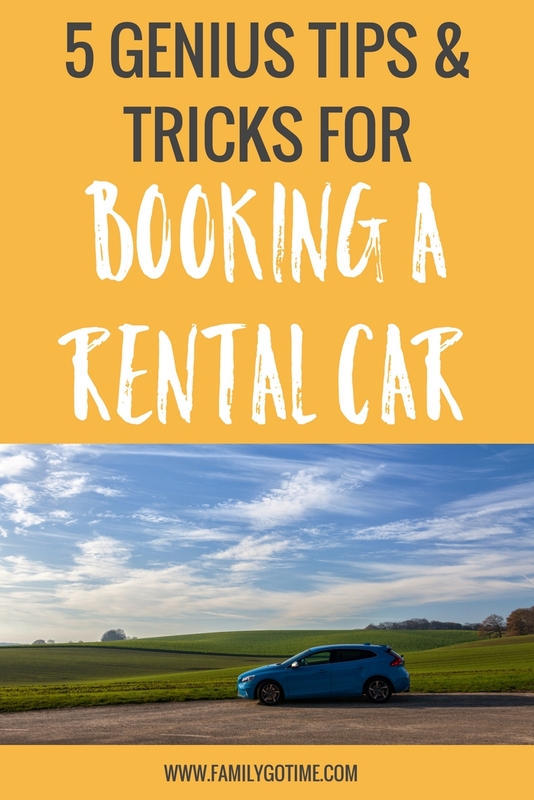 As you get ready for your next trip, check out a few of these these tips before renting a car. 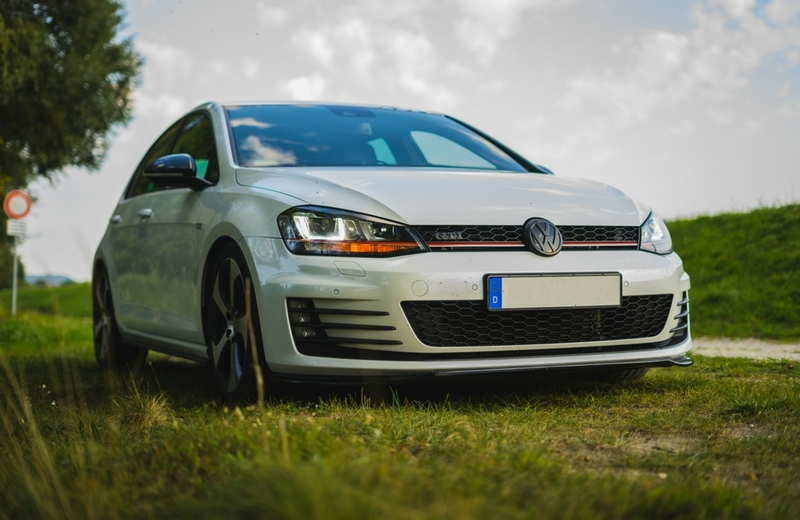 When checking out options for car rentals, it’s easy to look to the big-name companies first. We’ve heard of them, so we automatically assume they’re our best options. This is not always the case! Companies like Enterprise, Hertz, Alamo, Avis, Thrifty, etc. can be good choices, but they can also cost a lot. When flying, check out the rental companies available at your airport and pick a local or lesser known name. You can also use orbitz.com to compare prices of several different companies, lots of which are smaller businesses. Before you secure a purchase, don’t hesitate to search for coupon codes. Though bigger companies can cost more, there are often more coupons for these better known names. You can do a quick search for coupons for specific companies or you can use some coupon sites like RetailMeNot or Groupon. It’s also helpful to add an extension to your internet browser, something like Honey, Coupons at Checkout, or CouponCabin Sidekick. These browser extensions do a quick search of all available coupons for whatever you’re trying to purchase. You may not always save a ton of money, but it doesn’t hurt to check out your best options. If you’re traveling with your family, renting a car can get a little more interesting. You’ll need to consider size (including luggage storage) and necessary accessories. If traveling with little ones, you’ll certainly need a carseat. Save some money by bringing your own and checking it with other luggage. Many airlines allow you to check car seats for free, so just plan ahead. Not only does bringing your own seat save you some cash, but you also save yourself a headache when it comes to function. You don’t have to relearn a different contraption or worry about how well it’s been cleaned. You can find some peace of mind in using your own, even if it’s a bit more inconvenient. You can also check out these helpful ways to organize a great family vacation! Insurance is also tricky: check with your credit card company to see what is covered. Often you are covered by the card company you use to purchase the rental car and don’t need the “premium” or “upgraded” insurance offered. Do your research before purchasing lots of add-ons that the car companies tell you are “essential”. Whatever you do, do NOT search for a car rental in a hurry. Plan out your trip in advance, so you can take the time to compare prices without the stress of a fast approaching trip. You don’t want to be in a pressure-filled situation and make a poor decision as a result of poor planning. Sometimes, it’s unavoidable, but to the best of your ability, give yourself plenty of time to plan and search. Speaking of giving yourself time, you do not want to play with time when it comes to returning your rental car. Be prompt, even early, to return the vehicle. Some companies will charge you for a whole extra day if it’s late! You will also save yourself some money if you fill up the gas tank before dropping off the rental. Again, small lapses in judgment like returning an empty tank of gas can result in large fees. And finally, before you even leave the parking lot when you pick up the car, report any signs of damage or marks on the car. This way, when you return the car, the company already has that information on file and you won’t be charged for unnecessary issues. The moral of the story is don’t settle for the easy way out. Give yourself some time, get creative with searching for deals, and don’t take on extra costs. If you’re not someone who carefully and strategically plans out travel, this is your time to get organized. Planning ahead and paying attention to details can save you money and sanity. Happy traveling!